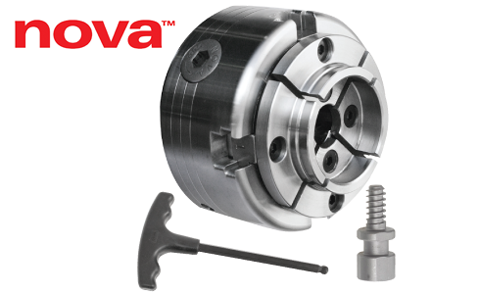 The SuperNova2 Chuck is well known for being a great value. It has a captured pinion gear with a ball end key that allows it to be tilted away from the workpiece when needed. A threaded insert needs to be purchased separately to fit your lathe spindle.